Apologetics Press - Does Epigenetics Support Neo-Darwinian Evolution? Does Epigenetics Support Neo-Darwinian Evolution? Does the Development of Antibiotic Resistance in Bacteria Support Neo-Darwinian Evolution? Fruit Fly Mutations: Evidence for Evolution? Neo-Darwinian evolution, the popular version of evolution today, asserts that mutations provide the mechanism for the change required to evolve a single-celled organism into a human over time. Upon examination of the evidence, however, it is clear that mutations cannot provide the genetic information required for such change.1 If mutations cannot provide the mechanism for the change required by neo-Darwinian evolution, what can? A recent area of study that some evolutionists are hopeful will provide an answer to that question is epigenetics.2 Epigenetics is the term used to describe the mechanism whereby genetic traits are inherited—passed on to offspring—not from the DNA itself, like we usually think of inheritance, but rather, from “over and above”3 DNA (e.g., from our environment4). 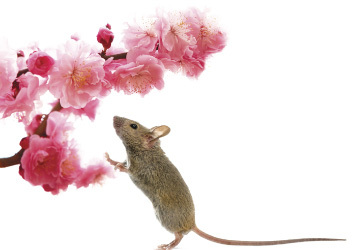 In response, keep in mind first, that while the mice study is an example of evolution—change, in the general sense—it is not evidence of Darwin’s “molecules-to-man evolution” or macroevolution. Rather, it would better fit under the category we might call microevolutionary change—horizontal evolution, rather than vertical. The offspring are still mice, for example. To conclude from such a study, “Therefore, humans could evolve from a single-celled organism,” would be to blindly leap well beyond the actual evidence. Second, the change that was found to occur appears to be temporary—only shown to last to the “grandmice” of the original mice. Thus, the change is not the permanent change required by the evolutionary model. Evolution requires changes that are fixed, not temporary. We are not temporarily humans, for example. We are humans “for the long run.” In other words, epigenetic changes appear to affect more than one generation, but they ultimately reset. Also notice that this epigenetic example does not fit the evolutionary paradigm in a fundamental way. A fundamental plank of Darwinian evolution is that evolution is random: nothing or no one guides the process. It is random change, coupled with natural selection filtering out the random changes that do not result in the best options. But notice that the mouse epigenetic inheritance example is far from being random. It is directed change. William Jeffery of the University of Maryland, who conducted the study that discovered that cave fish still have their eye genes intact, noted that while some evolutionists believed that “neural mutation” was responsible for the loss of sight by cave fish, “little or no experimental evidence has been presented to support or reject” that theory.9 The eye genes of blind cavefish are still intact, but the expression of those genes appears to be affected by their environment. Epigenetics does not provide the hoped for mechanism for molecules-to-man evolution, which requires the creation of libraries upon libraries of new genetic information. Notice that in epigenetics, like the mouse study example, creatures, through inheritance, are able to pre-adapt to their environments. 1 Jeff Miller (2014), “God and the Laws of Science: Genetics vs. Evolution [Part I],” Reason & Revelation, 34:2-10. 2 Kat Arney (2015), “Epigenetics: Your Lifestyle Can Change Your Genes,” New Scientist, 228:39; Kevin Laland (2016), “Evolution Evolves,” New Scientist, 231:42-43, September 24; Peter Bowler (2016), “Evolution (Part Two): Darwin and DNA,” New Scientist, 231:43. 4 Helen Thomson (2016), “Health Depends On Dad’s Sperm,” New Scientist, 230:8-9. 5 Brian G. Dias and Kerry J. Ressler (2014), “Parental Olfactory Experience Influences Behavior and Neural Structure in Subsequent Generations,” Nature Neuroscience, 17:89-96; cf. Mariette Le Roux (2013), “Mice Can ‘Warn’ Sons, Grandsons of Dangers Via Sperm,” Medical Xpress, December 1, http://medicalxpress.com/news/2013-12-mice-sons-grandsons-dangers-sperm.html. 7 Nelson R. Cabej (2012), Epigenetic Principles of Evolution (London: Elsevier), pp. 330-331; W.R. Jeffery (2005), “Adaptive Evolution of Eye Degeneration in the Mexican Blind Cavefish,” Journal of Heredity, 96:185-196, May/June. 8 Cabej, pp. 330-331,598, emp. added. 10 Special thanks to biochemist Dr. Joe Deweese for reviewing this article and offering helpful suggestions.